If selling T-themed t-shirts will help the Massachusetts Bay Transportation Authority make up for some of its projected $130 million deficit, launching an online merchandise store later this year can’t hurt. But if the agency keeps taking itself too seriously, the sales won’t end up helping very much. Early prototypes of the merchandise released by WardMaps, the company the MBTA has hired to create and sell the items, include t-shirts emblazoned with well-designed collages and mugs featuring the T map. 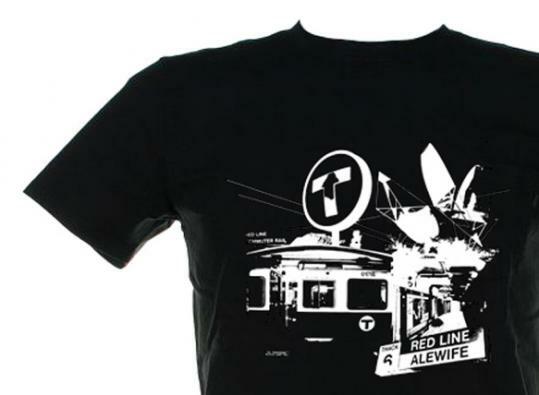 While these earnest designs may appeal to the occasional tourist and subway buff, they don’t reflect the city’s love-hate relationship with the T.
If the MBTA truly wants to make money with its merchandise, it should consider selling some items that feed into the conventional wisdom — even if it means acknowledging imperfect performance. Why not sell shirts that say, “Better late than never”? Or how about mugs that suggest, “Read a whole book; ride the T”? There’s a proven market for this type of snark. “Mind the Gap” merchandise — inspired by the warning given to London Underground passengers because of a design flaw in the Tube — are popular worldwide. For its part, the T already honors its colorful reputation with the “Charlie” card, named for the “man who never returned” in the old Kingston Trio song mocking an old fare policy. These days, it would take a certain level of self-assurance for the MBTA to sell a product that elicits laughs at its own expense. But if those products fly off the shelves, the MBTA will have the last laugh.